America’s royalty? 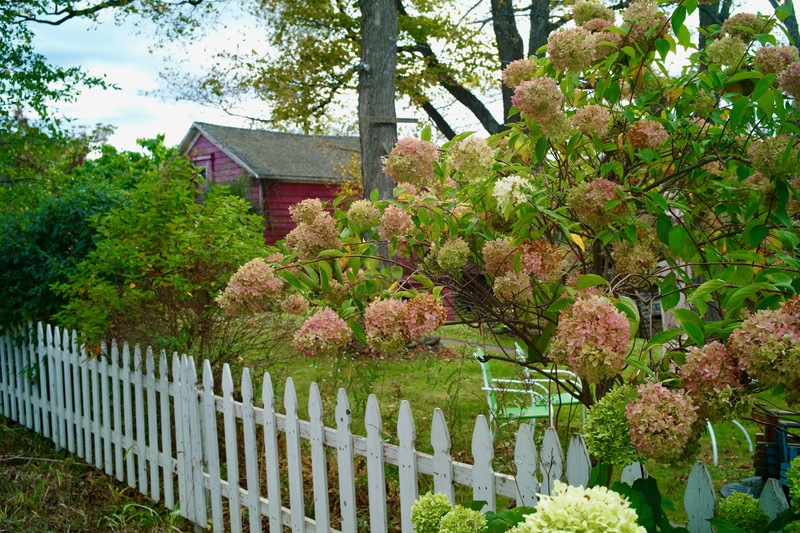 This cozy cottage is in the Hudson River Valley. Autumn in New York. Back down the hill is this view of the Hudson River in Staatsburg, NY. Autumn. Paul Goldfinger photo © c.2013 Click to enlarge. 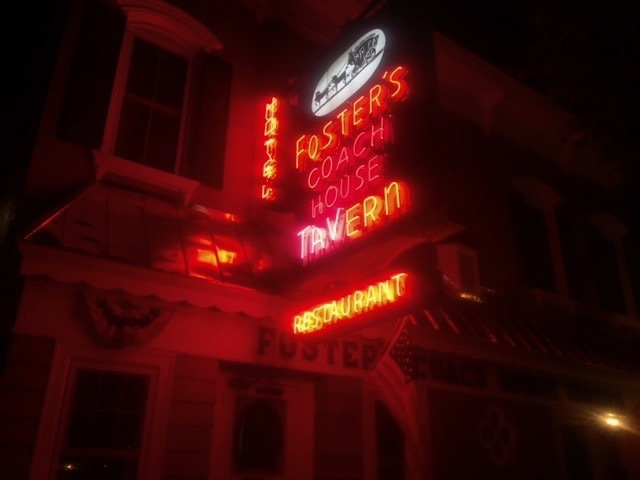 Foster’s on a busy Friday night on downtown Montgomery Street in Rhinebeck, NY. Hudson River Valley. Shades of New Orleans. Paul Goldfinger ©. October 13, 2017. Rhinebeck, NY (Hudson River Valley) Paul Goldfinger © October, 2017. Click to enlarge. Blogfinger portraits: Carly of the CIA, undercover in Rhinebeck, NY. Carly Brown is a student at the Culinary Institute of America (CIA) in Hyde Park, NY. Photo and text by Paul Goldfinger © 10/15/17. We met Carly today when we visited the Rhinebeck, NY, Sunday morning Farmers Market. She is in her second year at the famous school of culinary arts located at a 170 acre campus on the east bank of the Hudson River. She is working towards a 2 year associates degree in Baking and Pastry Arts. 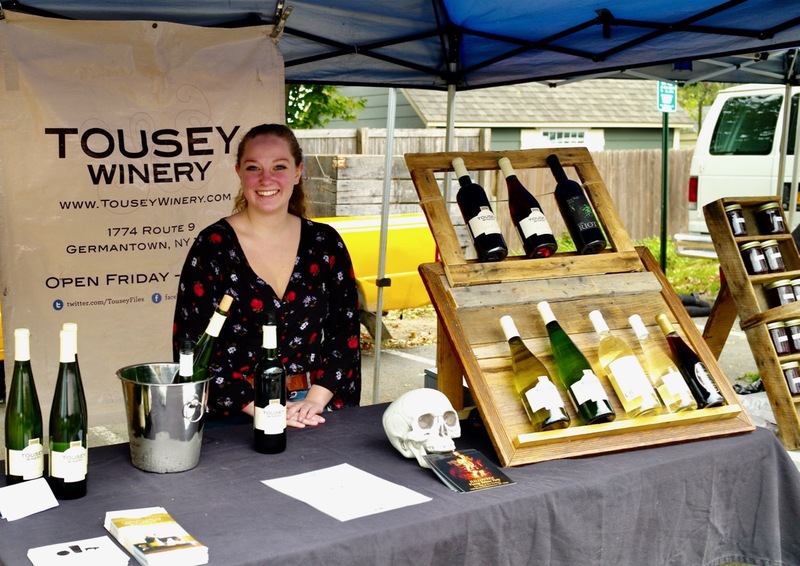 Today Carly is representing the Tousey Winery of Clermont, New York. We were surprised to find out that Tousey made a pinot noir. We bought a bottle to try. Of course, NY State is famous for its wineries. I recommend the dry Riesling by Dr. Konstantin Frank of the Finger Lakes. Rhinebeck Farmers Market. October 16,2017. Blogfinger photo © Click to enlarge. We enjoy this farmers market because it provides a look at the wide variety of products originating in the Hudson Valley where they have many farms producing some unusual crops and products. After November the market moves indoors, but it does continue year round. It is about 3 hours from Ocean Grove, but they have some wonderful B and B’s up there. The restaurateurs in that region follow the “farm to table” idea of serving all regional ingredients, and we saw some excellent examples of that today including goat feta cheese, fine baked goods including excellent Danish and baguettes, chicken liver mousse, terrific scalion sausages served on a stick with a piece of crunchy bread, fingerling potatoes, long red radishes like we had in France, baby kale served raw in salads or sauteed as a side dish, local beers, wool from sheep farms, yarn from alpaca farms, and even a local distillery selling apple jack and single malt whiskey among other selections. The meat farmers were offering foi gras, venison, chickens, pork, duck, and turkey sausages. Of course there was a huge selection of fresh picked apples and pears. Alpaca fleece is warm, comfy and hypoallergenic. It comes in a variety of colors. It is related to camels. Blogfinger photo. Rhinebeck, NY. The market is only open for 4 hours, and it is primarily for the locals. They don’t have flea markets, car shows and other large dopey events to paralyze their town. There was a parking lot for the market-goers. It there is a large event, like the annual NY State sheep shearing festival, it is held at the Duchess County Fair Grounds nearby. Rhinebeck is a small historic town (pop 7,500) in the Hudson River Valley dating back to the 1600’s. It now is a fabulous place with art, culture, music, fashion, great eateries and no shlock. It could be a roll model for Ocean Grove. The downtown is successful with businesses like galleries, yarn shops, fine coffee shops, a fabulous book store, a shoe store, and an art house movie theater. 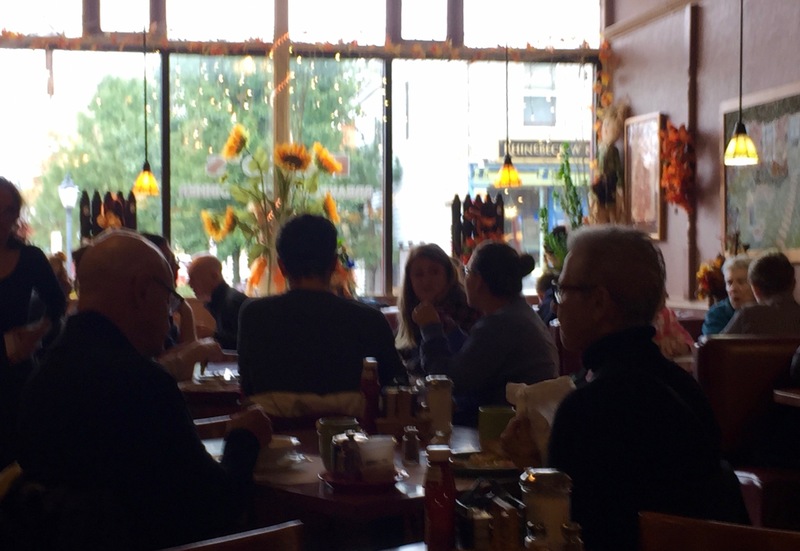 A restaurant “Terrapin,” is in a converted Baptist church. It was just voted two Best in the Hudson Valley awards, and the owner/chef Josh Kroner is from New Jersey. We ate there. The oyster shooters are addictive. 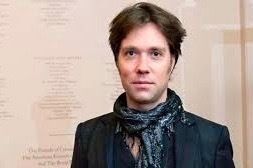 RUFUS WAINWRIGHT: “Natasha” from his album Want One. Rufus Wainwright is an immensely creative singer songwriter who was born in Rhinebeck, NY. 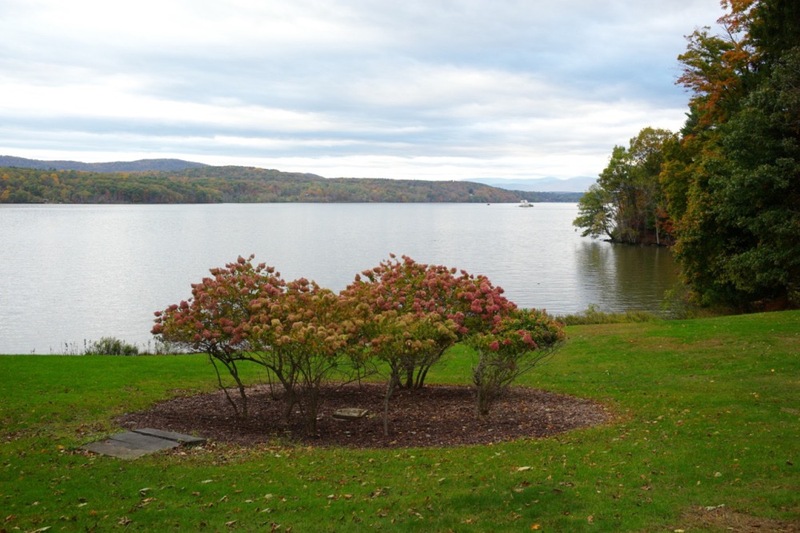 Hudson River Valley in autumn. 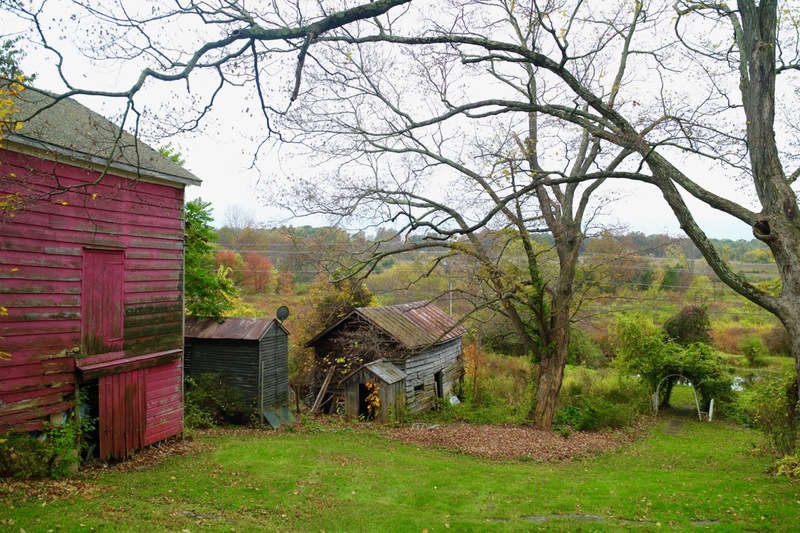 Rhinebeck, New York series. By Paul Goldfinger. 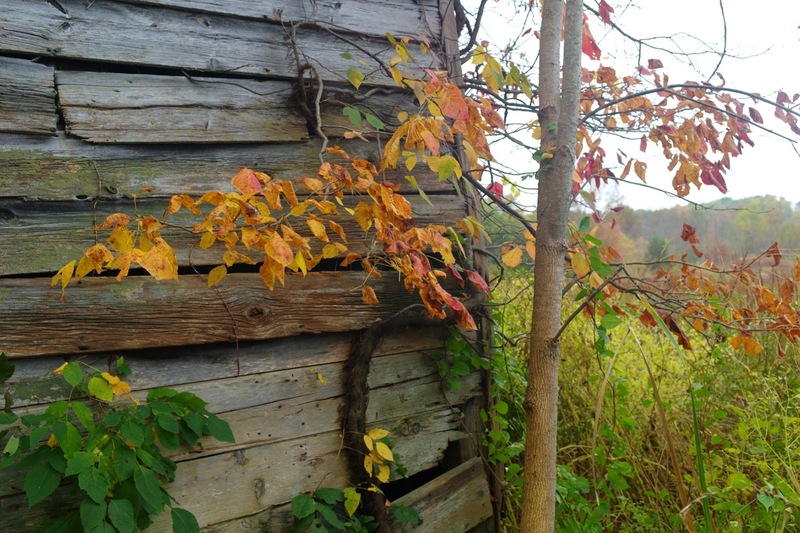 October, 2014. In 1783, the Continental Army, with 7000 men, spent their last winter encampment in this area. Click to enlarge. SEIJI OZAWA, JOSEPH SILVERSTEIN and the BOSTON SYMPHONY ORCHESTRA with Antonio Vivaldi’s Four Seasons, Autumn.